Fall is one of my favorite seasons. The air starts to feel cooler and a cozy aesthetic starts to take hold. To start transitioning from summer to fall, you can gradually incorporate fall decor into your home. A fun way to do that is to create some of your own DIY decor. 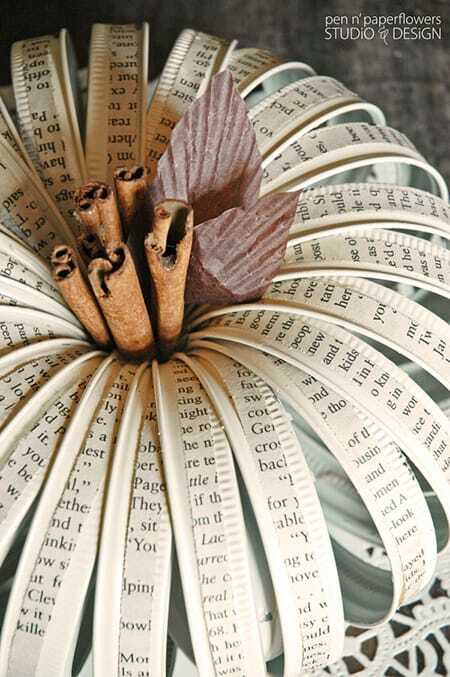 Not only do you bring a fall flair to your home, but you also get to have some fun making things and personalizing them. It makes getting into the season all the more fun. There are a lot of amazing fall DIY projects out there. I’ve gathered ten of my favorites that are simple and chic. Some have a farmhouse flair, some are a bit glamorous, and they are all creative and stylish. From mantel decor to cozy textiles, you’re sure to be inspired by them. Here are 10 fall DIY ideas to help you kick off the new season. 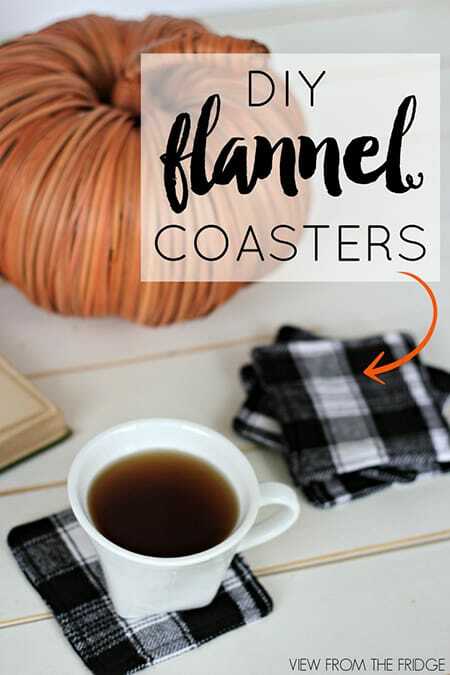 These cute flannel coasters are easy to make and provide the perfect transition into fall. 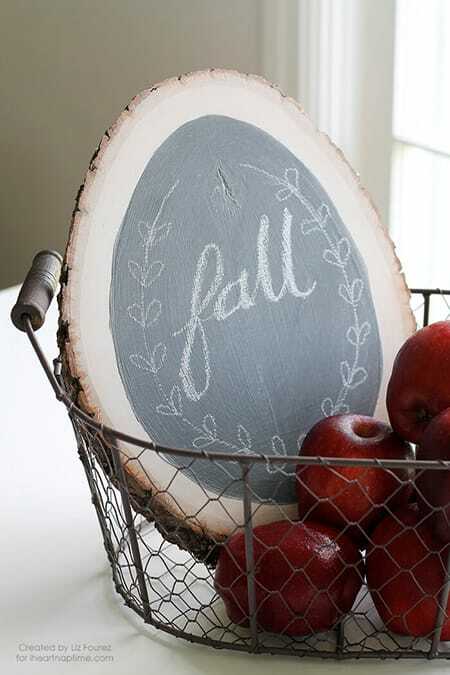 How adorable is this fall chalkboard sign made from wood? Love how you can personalize it with your own message. Here’s a really cool DIY project: a vintage-style pumpkin made from mason jar lids and book pages. Brilliant! 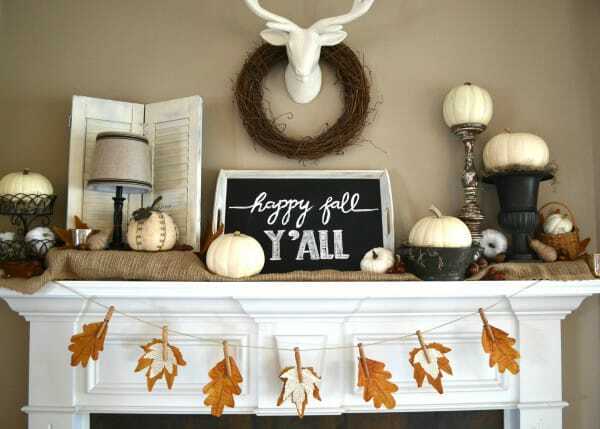 Add some fall flair to your mantel with this simple fall banner made from leaves and book pages. 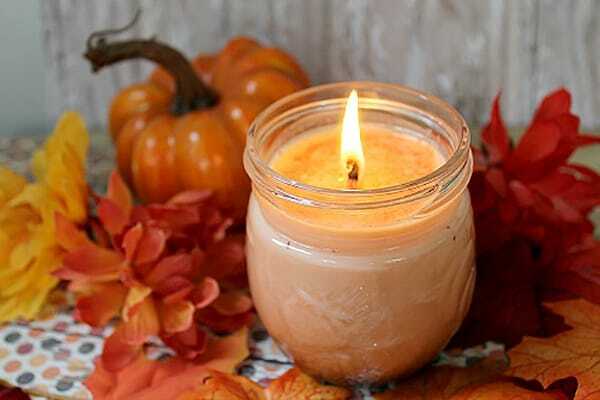 Make your home smell like fall with this DIY pumpkin spice soy candle. 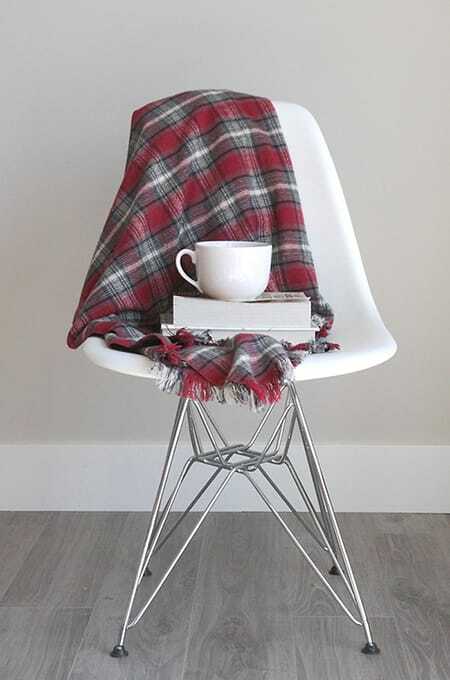 This DIY flannel throw can add a cozy fall touch to your sofa, armchair or even your bed. 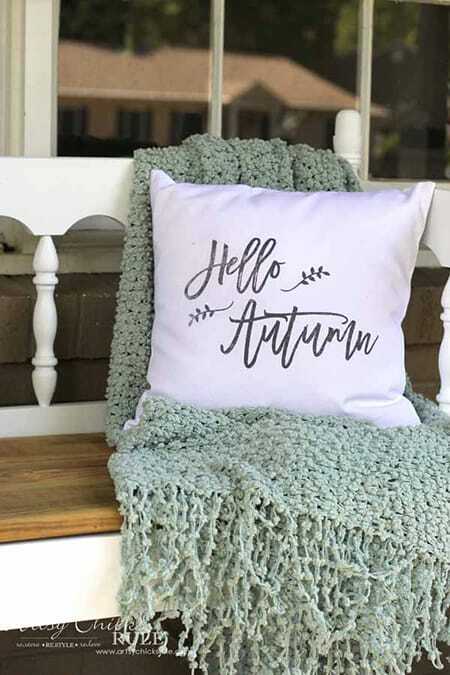 Welcome the fall season with a charming DIY throw pillow. 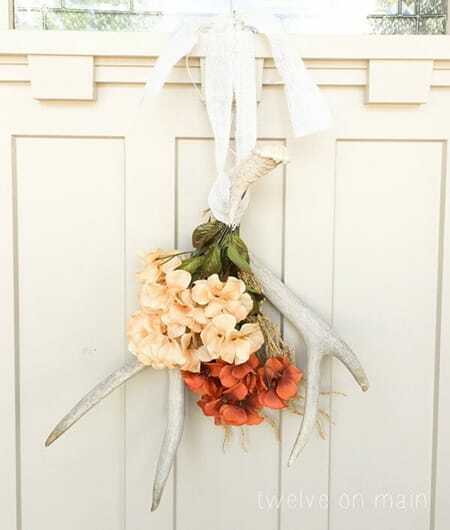 For a fall farmhouse touch, you can create this darling antler wreath for your front door. 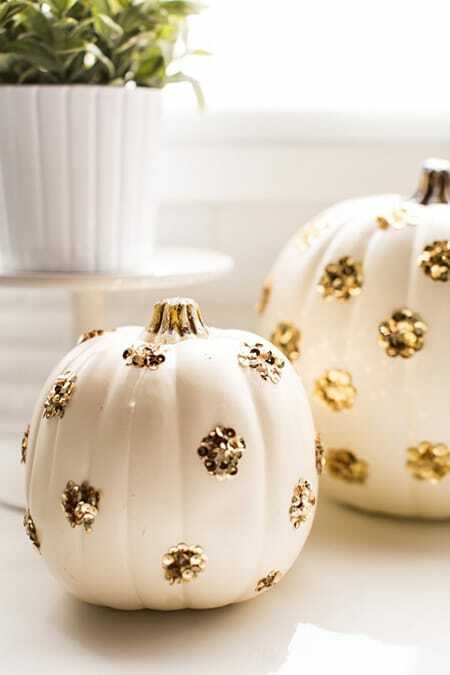 Give the fall season a touch of glam with these sequin polka dot pumpkins. 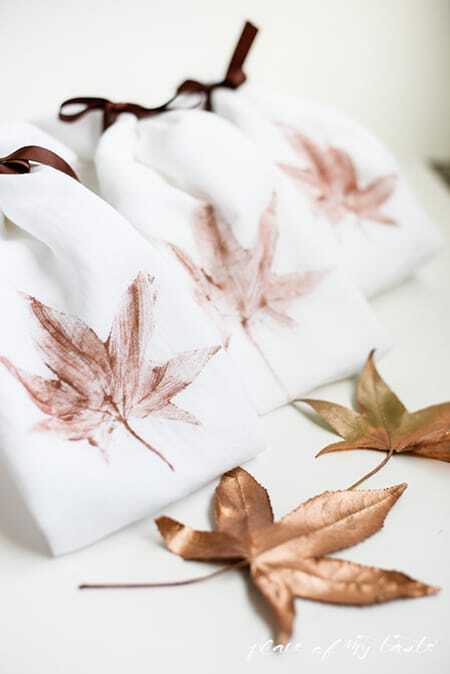 Create your own fall napkins for special occasions by stamping them with gold leafs. Who else is excited for the fall season?